We are pleased to announce awards that we won from Master Pools Guild for 2013. 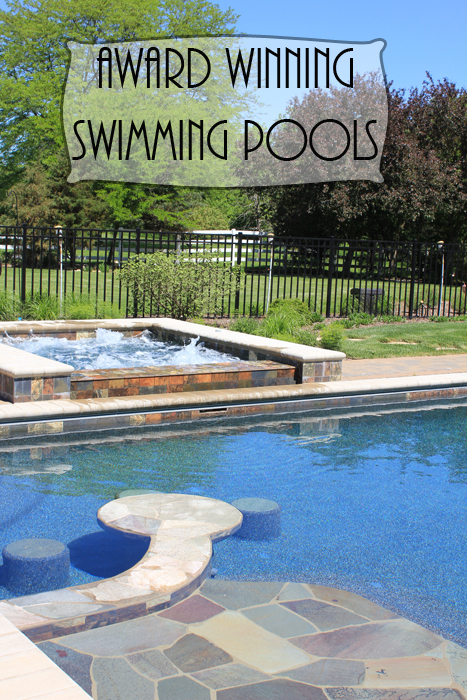 Master Pools Guild members are the top swimming pool and spa builders in the country. We are honored that we are the only member in the Chicago area of such a great guild that includes many trendsetters and innovators. Below are our three winners. If you have any other questions or want a quote on your own pool give us a call at 847-381-1245. YES, YOU CAN KEEP YOUR POOL OPEN IN WINTER! Barrington Pools serves Chicago area residential and commercial customers, including those located in North West Indiana, Southern Wisconsin, Northern Illinois, and Eastern Iowa. We are ranked among the top 25 custom in-ground pool builders in the United States and we look forward to working with you to create the pool, spa, outdoor kitchen, waterfall, patio or other hardscape of your dreams.